We take pride in riding our spectacular BMW motorcycles safely and responsibly during all club rides. While "rules" and "fun" don't always go together, they definitely do in this instance. 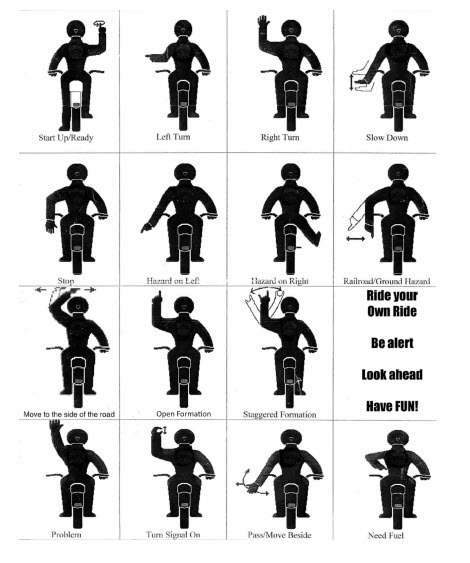 All members have a duty to familiarize themselves with our Guided Ride Rules, and to ride accordingly. For the safety and enjoyment of all members, we reserve the right to excuse any rider not wishing to follow our Guided Ride Rules from riding with a club group. We are also committed to ATTGATT (All the gear, all the time) and strongly encourage all members to wear quality head-to-toe motorcycle specific clothing and an undamaged full-face helmet, whenever they ride.